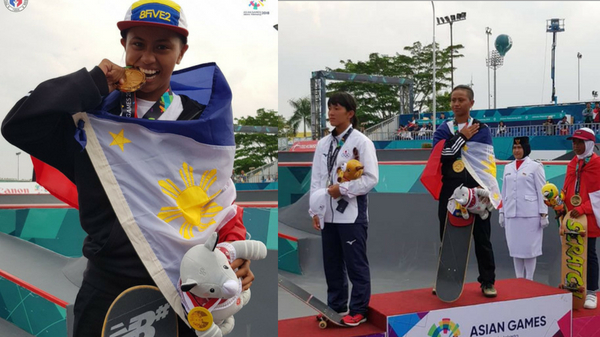 MANILA, Philippines – Margielyn Didal bagged the Philippines’ 4th gold medal at 2018 Asian Games women's skateboarding street event today, August 29. The 19-year-old skater impressed the judges to score an amazing feat of 30.4 points. The silver medal was bagged by Isa Kaya of Japan who got a score of 25.0 points. 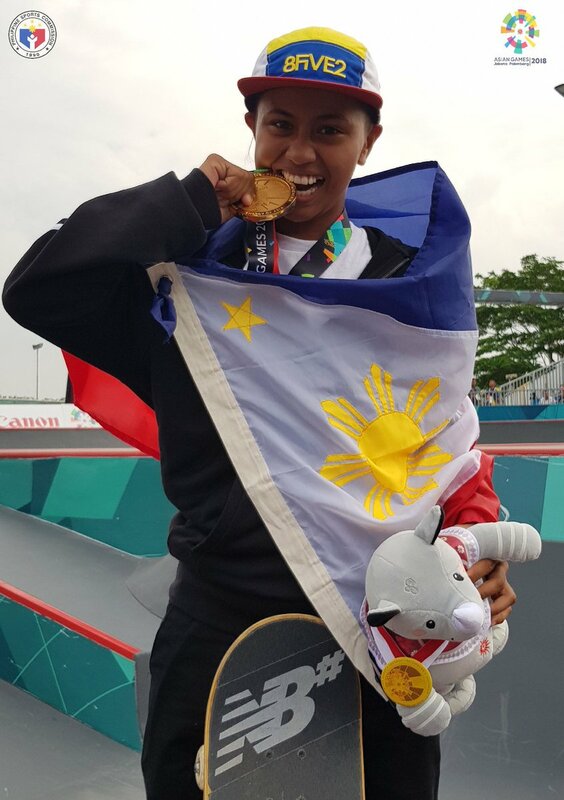 Margielyn Didal is the new skateboarding champion in Asiad. 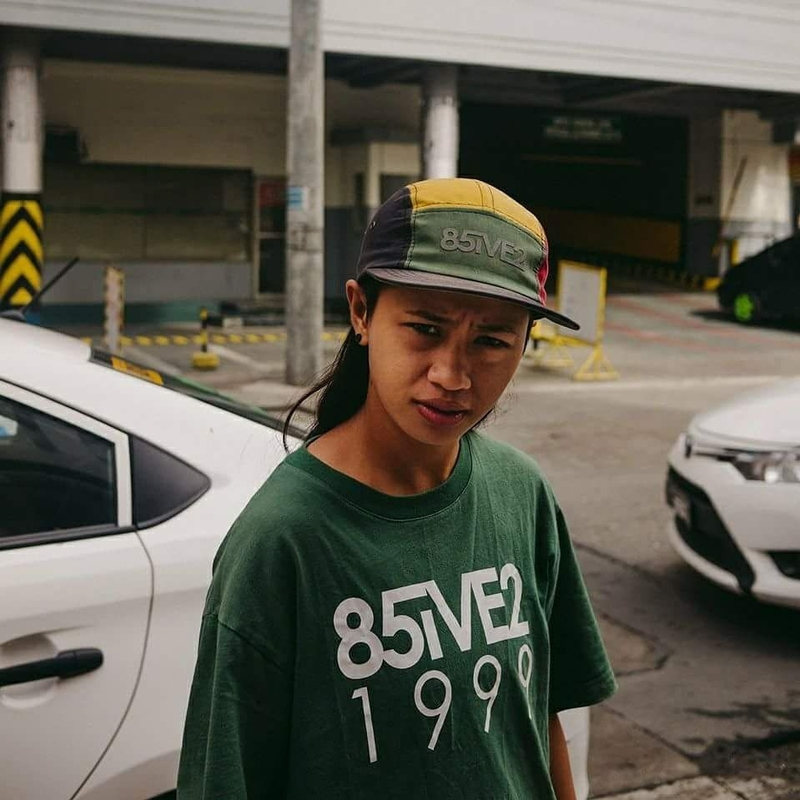 Last May, Didal was the only Southeast Asian to be invited in the prestigious Street League championships in London. With Didal’s win, the Philippine team moves up to 17th place in the medal tally with 4 gold and 13 bronze.